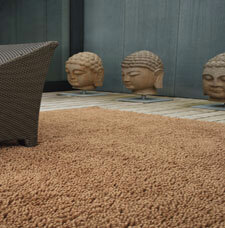 The Gravel Shaggy collection features a range of soft and heavy weight luxurious rugs. Each rug is woven to perfection using pure new wool and cut to a very high degree of precision for an exceptionally even surface. Gravel rugs also make great use of neutral colours, which make them suitable for any room setting. Designed by Brink & Campman design house.